How to watch The Krays: The Myth Behind the Legend (2015) on Netflix Egypt! Sorry, The Krays: The Myth Behind the Legend is not available on Egyptian Netflix, but you can unlock it right now in Egypt and start watching! With a few simple steps you can change your Netflix region to a country like United Kingdom and start watching British Netflix, which includes The Krays: The Myth Behind the Legend. We'll keep checking Netflix Egypt for The Krays: The Myth Behind the Legend, and this page will be updated with any changes. 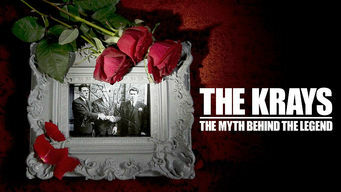 The Krays: The Myth Behind the Legend is not available in Egypt BUT it can be unlocked and viewed! Rivals and other contemporaries discuss Ronnie and Reggie Kray, the notoriously violent gangsters who ran London's East End in the 1950s and '60s. They're charming nightclub owners. They're also pitiless killers. Who are these brothers and crime-syndicate kings? There is a way to watch The Krays: The Myth Behind the Legend in Egypt, even though it isn't currently available on Netflix locally. What you need is a system that lets you change your Netflix country. With a few simple steps you can be watching The Krays: The Myth Behind the Legend and thousands of other titles! Watch "The Krays: The Myth Behind the Legend"